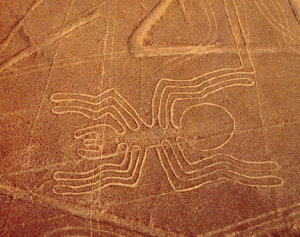 During one of my recent readings, I came across something which is better known as the Nazca Lines. The subject was so intriguing and interesting that I couldn’t help but go behind it deeper, as it had something to do with mythology too. The details below are just the tip of an iceberg of information, but the idea is to introduce the concept to many who might not have heard about it. If this generates any interest and you decide to know more about it, do share with me on this Blog, as any information is worth a lot and could also help see things in a different perspective. Before I begin, I would like define a term, ‘geoglyphs’. Geoglyphs are works of art that are made from moving or arranging stores or earth or any other matter in a given landscape. Nazca Lines are massive lines created on the surface of the earth to form different designs and motifs, in the Nazca Desert, Southern Peru. 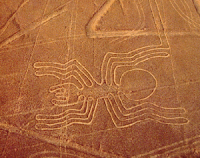 Scholars believe that the lines were created by the people belonging to the Nazca culture between 400 and 650AD. There are hundreds of figures on the ground, ranging from simple to complex designs which resemble monkeys, humming birds, spiders, whales, etc., besides figures which might not mean much to modern man. By itself this is not a big deal, but what makes this worth noticing is the enormity of it. Some of these figures are so huge that from the ground they mean nothing, but an ariel view can make sense and decipher the designs. 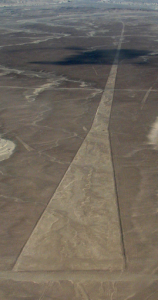 Some of the figures are over 1000 feet wide. It is this aspect of the figures which make it impressive, especially in the absence of any air-bound travel arrangement then. So who conceived such figures and how were they drawn, besides why were they drawn at all? The figures are an enigma to say the least and the theories that have been propounded around it are even more so. Amongst the numerous theories being given, one of them says that the people of the Nazca culture made these figures for their gods to see them from the heavens. It further said that the people worshipped mountains and other water sources and these lines probably were drawn based on the availability of water, which had its relevance to the agriculture, which was the mainstay of the Nazca people. These figures could have been symbols for invoking the blessings of the god for getting water. Yet another theory goes on to say that the animals and figures are of those, who must have perished in the Great Flood which must have lashed the region and the same was made to make a sort of a permanent ‘memorial’ for people not to forget the Great Flood. This Great Flood is found in every culture (from Christians to Sumerians to the Aztecs and Mayans to Indian). A major theory ascribes these figures to Astronomy. According to the theory, the lines depict important stars and constellations and events like the solstices. This is based more on the figures of spider and the monkey, which depict the star constellations like Orion and Ursa Mayor. However, the biggest challenge in proving this theory is the fact that the direction of the stars change in centuries due to the concept of ‘precession’, which is a subject by itself. (In astronomy, "precession" refers to any of several slow changes in an astronomical body's rotational or orbital parameters – Wikipedia). However, many of the theories have more or less touched this aspect. Finally, the most interesting theory – according to the Swiss author Erich von Daniken, these complex structures could have something to do with the extra-terrestrial influence on the then human culture. 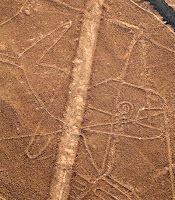 According to him, some of the structures could just be ‘run-ways’ of an ancient airfield, which was used by the ET’s, mistaken by the Nazca people as their gods! However, ludicrous this sounds; one thing that has to be accepted is that the then people had access to some higher technological knowhow when these figures were created. On the surface, without an ariel view, it is near impossible to create such structures. So who did them and how? Is this proof of a more evolved and technologically competent civilization? Is this an evidence of the fact that the ET’s did have contact with the civilization in those days? 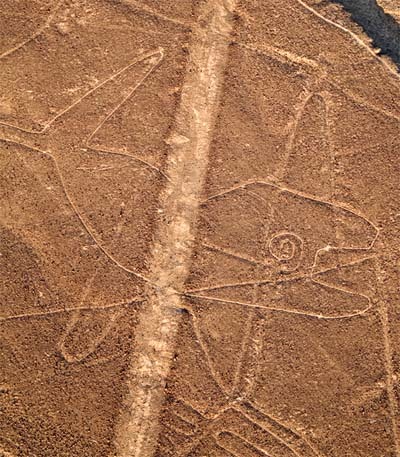 As always, any discussion on Nazca Lines raises more questions than answers and I too would have done exactly the same. We pride ourselves as being the most evolved and intelligent living beings and at times even credit ourselves with ‘creating’ divinity – but this begs to differ. There are no answers and theories range from rational ones to speculative ones to absolutely absurd ones – all trying to guess what is not recorded or mentioned, except that they hint to the existence of an intelligent civilization. Finally, after I have concluded the article (! ), I want to touch on one more theory, which is not propounded by the scholars, but forwarded by the locals, who stay around the area. According to these locals, these figures are not the work of men of the times; it is the work of Viracocha, the creator-god of the pre-Inca inhabitants of the Peru. Next time we will learn more about Viracocha which is an interesting study! 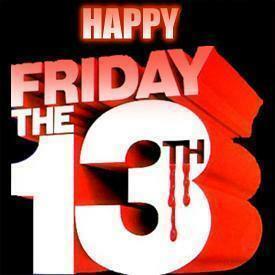 Its Friday the 13th once again......nothing much has changed or happened since I wrote about it last time, so I am just giving you the link of the last article...just to refresh your minds and the ideas behind the dreadful day... if it is one!! If you have been hearing Happy New year since the last one week, then the heading of this article might sound erroneous or even offensive. Well the objective was not to offend, but to bring the most controversial aspect of the year 2012, which has been making headlines even before 2012 actually, arrived. The year 2012 is supposed to be the dooms-year as the world is supposed to come to an end, at least that’s what is made out of a certain prophesy of the Mayan’s. 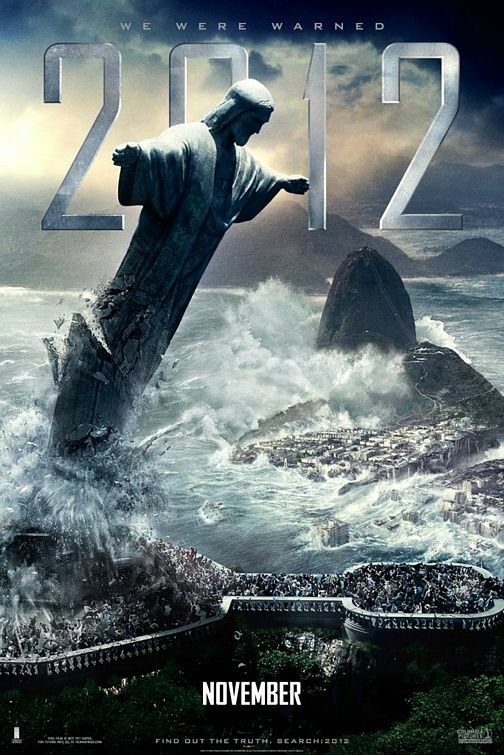 A recent Hollywood movie, titled 2012, also showed how the world would come to an end in the year 2012 after a series of unstoppable disasters and catastrophes. So let’s start at the very beginning…..
Just who are/were the Mayans? 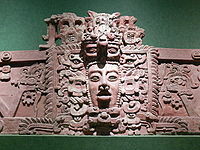 The Mayans were the natives of the present day Mexico and Central America. They had a rich cultural and mythological heritage which was better known as the Mesoamerican civilization till the arrival of the colonial Spanish army. Some of them can still be found in the region of Gautemala, though much modernized and with a change of religion. 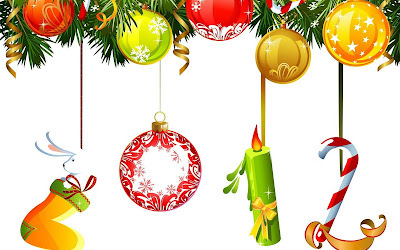 According a certain prophesy of the Mayan’s, the world would come to an end in 2012, with the specific dates ranging from 21st Dec to 24th Dec 2012. How true is this? So what happens to the civilization as it stands today? What happens to you and me? The only good thing that can happen to many of us is that we can stop paying our EMI’s, as what can anybody do in case of a default! But what if the prophecy is incorrect? In that case it is worth understanding the prophecy of the apocalypse. The Mayan’s followed a complex calendar which was in existence before the world woke up to the present day Gregorian calendar. Like all ancient systems, this was based on certain local and mythological events which were of cyclical nature and the end of the calendar ushered in a new era. The calendar followed by the ancient Mayans was a combination of Tzolk’in implying ‘count of days’ which gave 260 days. There are different versions of this system. The most accepted version being that the Mayans had followed a combination of 20 and 13, both of which were auspicious for the Mayans and if you multiply the two you get 260. Some even say that this period was derived by the Mayan midwives to predict the exact date of the birth of a baby, as the number coincides with the number of days of human pregnancy. The Haab was the solar calendar followed by the Mayans, which was made up of 18 months of 20 days each, followed by five days of no name, which corresponded to the then similar calendar of the Egyptians leading to 365 days. But this was considered a bit inaccurate as the prediction of the seasons (and thus the harvest) was never accurate for the Mayans. The calendar system gets slightly more complex and we will not delve in the same beyond this. It is important to understand that a combination of the above two concepts along with some more gave a count of a cycle. End of a cycle brought in the new cycle. 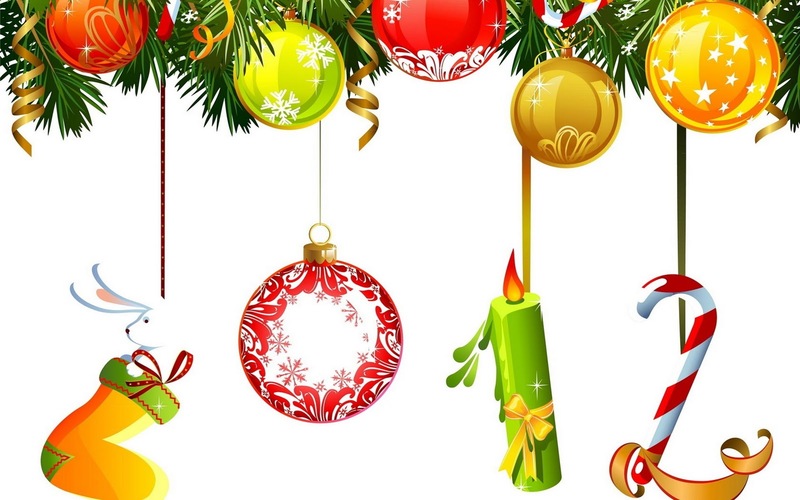 As per the Mayans, on the winter equinox on 21/12/2012, the present cycle ends. This does not imply the end of the world. Time is cyclical and the next cycle begins at the end of the previous one. However, for the Mayans an end of a cycle is auspicious and not many get to see the end of a cycle during one’s lifetime and the this is probably the first time many might be a part of the change of a calendar cycle from the modern times. This has made the subject all the more relevant. What has been witnessed in the movie 2012, is a modern interpretation of the Biblical Noah’s Ark, which occurs in the year 2012 along with a dash of message of how humans were responsible for bringing an end to the world, but ends with an optimism, that some good souls will stay alive to see the new world emerge out of the man-made chaos! Except for the date 2012, it had nothing in common with the Mayan understanding, rather mis-understanding. Before we conclude, I would like to leave my readers with one more aspect of the comparative nature of the subject. The Hindu scriptures also follows a concept of cycle of eras and one such prediction made by Lord Krishna in “Brahma-Vaivarta Purana” was that a Golden Period would start 5000 years after the beginning of the Kali Yuga and would last for about 10,000 years. According to the Hindu calendar, the Kali Yuga began on 18 February, 3102 BC. The Mayans are in their Fifth Great Cycle which began in 3114 BC and is to end on 21/12/2012. The difference of the beginning is just 12 years! The slight difference in the usage of the calendars which were a combination of the lunar and solar calendars and given the difference of the number of days in the usage of the two different calendar systems, the difference could end up being quite minimal and who knows we could just be close to Lord Krishna’s prediction of the end of the Kali Yuga and the beginning of the Golden Period! What is interesting and amazing is the similarity of concepts and the following of similar calendars of historically two different cultures, which did not have any contact! With this, let me assure each one of you, that we are surely not closed to the dooms day, but could just be on the threshold of a new era. Here’s wishing all of you a very Happy New Year! !